Feta is served as an appetizer, side dish, and as an ingredient in salads, filled pies, and pastries. Its use in preparing and serving Greek food is almost as imperative as the use of olive oil. Feta may be used in most recipes that call for cheese: vegetable and fruit salads, filled pies, as a topping for or ingredient in cooked rice and tomato-based pastas, as a filling for omelets, in sandwiches, and elsewhere. The classic slice of feta is rarely missing from the Greek table. A fabulous meatless appetizer, side, or main dish of eggplant, tomato, herbs, and feta cheese. Different than the more well-known "cheese pies" made with phyllo dough, this is a delicious pie similar to a quiche, made with feta cheese, eggs, and yogurt. Delicious served as a snack with coffee, or with breakfast. Whatever else is on the grill, add some feta cheese for a classic Greek touch. This is a basic recipe that just begs for creativity! 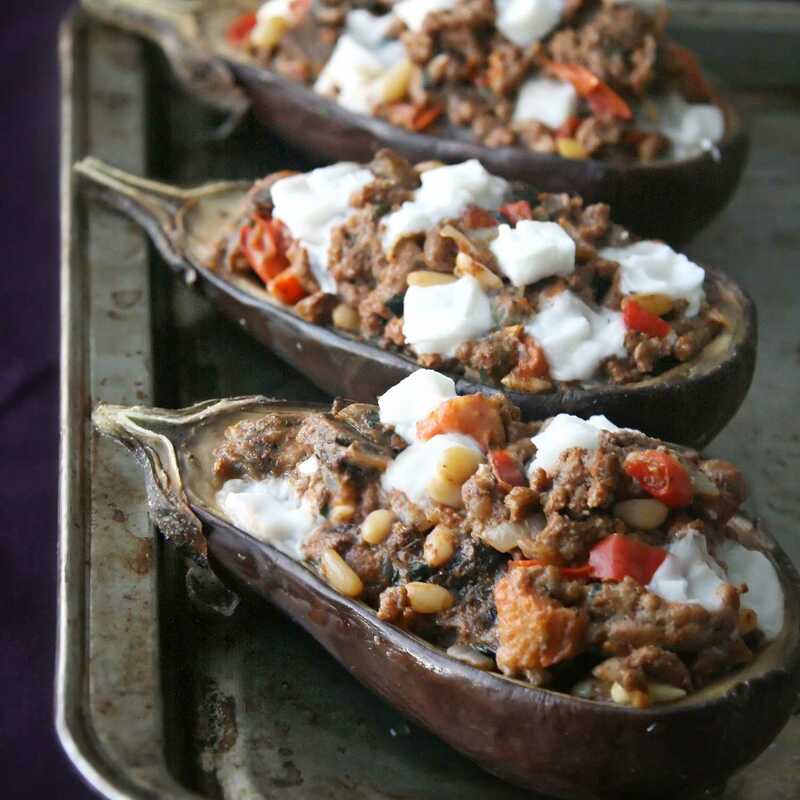 Bull's horn, Cubanelle, or Anaheim peppers (long, light green, mild) are stuffed with a mixture of feta cheese and finely chopped hot peppers, then roasted or grilled. This is a quick and easy recipe to make, and a delicious appetizer, meze, or side dish. Although often called spanakopita because the longer word is hard to pronounce, this spanakotyropita has cheese, and spanakopita does not. Call it what you like, this is a delicious dish and one for which Greece is famous. The combination of watermelon and feta cheese is a Greek favorite in summer. It's eaten as a snack or a light meal. This variation includes paper-thin slices of red onion, and a touch of balsamic vinegar to turn this fabulous taste combination into a summer salad.